Go! Go! Go! This Fitbit Print Band for Ace 2 Activity Trackers is a replacement band that gives your kids a visual reminder to always keep going and achieve their goals. 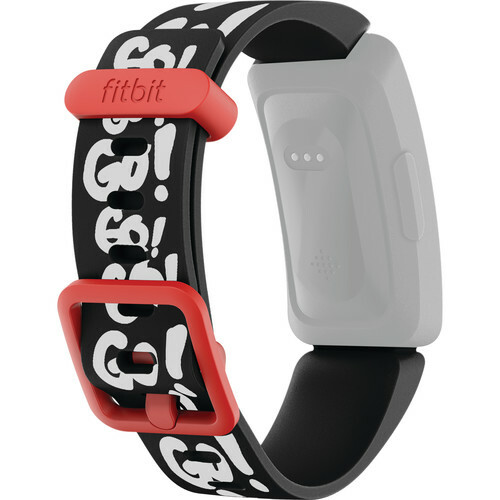 The flexible, black, elastomer band has a plastic buckle and features the exclamation 'Go!' printed multiple times in white. This is a 'one size fits most' adjustable band meant for kids ages 6+.